The Developers of the popular messenger Viber announced that its users to Android devices can take advantage of instant transfer released a new version of the application. In the near future this feature will become available to users of iOS devices. Viber Users can translate the message into any language directly in the chat window. All that is required is to click on the message, choose the option "translate" and the text will instantly appear on the smartphone screen below the original phrase. The Message will be automatically translated into the language set on the device by default. The message can translate to any other language: you need to click on the text, choose the option "language" and the desired item. 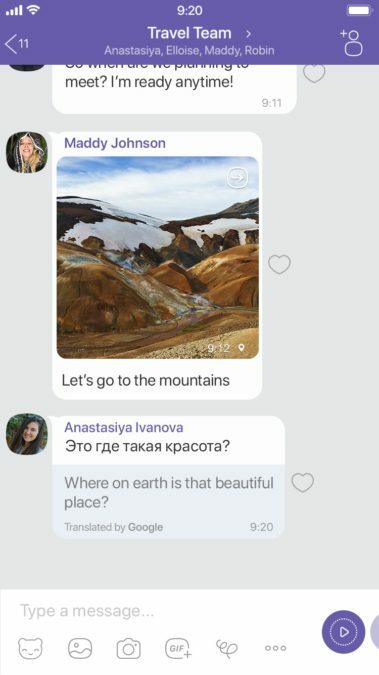 A new feature allows you to translate the news in communities and public chat rooms as well as in personal conversations. The Feature is available through integration with Google Translator.